LTG Robert VanAntwerp, US Army, Ret. Flip and his wife Susan, who is CEO, were named Ernst & Young Entrepreneurs of the Year, the only couple to ever receive this prestigious award. Previous recipients include Howard Schultz (Starbucks), Pierre Omidyar (eBay, Inc.), Reid Hoffman and Jeff Weiner (LinkedIn), and other fast-growth companies. Founded in 1990, Flippen Group was chosen by Texas Monthly magazine as #2 in the listing of Best Companies to Work For in Texas. The company’s breakthrough educational curricula and processes are used in thousands of schools nationwide, and their corporate division works with multinational and global companies around the world, enhancing performance and outcomes. The leadership development and organizational consulting work has also delivered dramatic improvements in professional sports teams and government organizations such as the U.S. Army Corp of Engineers. Flip earned a bachelor’s degree from Stephen F. Austin State University and a graduate degree from Texas A&M University. The first 16 years of Flip’s professional life as a psychotherapist were spent working with gang kids. In the process, he built an outpatient clinic for at-risk youth and a 500-acre residential treatment facility for boys in College Station, Texas. Flip developed the theory of Overcoming Personal Constraints (OPC) to accelerate personal effectiveness by identifying and breaking debilitating behavior patterns that limit performance and hinder growth. He and his team developed the world’s most sophisticated psychometric assessment instrument, capable of identifying personal constraints and prescribing methods for changing behavior. The theory and practice of Overcoming Personal Constraints are being used in boardrooms, locker rooms, and briefing rooms to improve individual and team performance around the world. Flip is recognized as one of the top leadership thought leaders in America. His first book, The Flip Side: Break Free of the Behaviors That Hold You Back, is available in nine languages and became an instant New York Times and USA Today best seller, as well as making the CEO Read best-seller list. Flip has also contributed to hundreds of publications, including Inc. magazine and SUCCESS magazine. He has made appearances on the Today show, the Super Bowl Pre-Game show, and Speed Channel’s NBS 24/7. With an emphasis on changing behaviors and attitudes that stand in the way of personal and team effectiveness, Flip presents keynote speeches and leadership development events worldwide. Flip and Susan live on their ranch in College Station, Texas, where Flip can be found working most weekends. In their spare time, they have also helped raise twenty children. What is holding you and your team back from greatness? At some point, every top performer runs up against a wall. Flip Flippen calls it the “Strengths Paradox,” and it’s not just an opinion. It’s backed by research and data gathered from the world’s top performing individuals. The fact is, playing to your strengths just isn’t good enough. If you or your organization want sustainable greatness, you’ll have to break this paradox. In this talk, Flip shares the exact formula you need to overcome the Strengths Paradox and achieve more than ever before. A lot of people talk about building high performing cultures, but few ever achieve it. 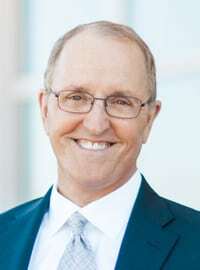 Flip Flippen and his team have achieved it in education, Fortune 500 companies, the military, professional sports teams, non-profits, and NGOs the world over. The secret comes from capturing hearts and minds. In this talk, Flip shares what it takes to tap into the power hidden in you and your team. More than motivational fluff, this is data-driven behavioral science and neuroscience applied to human potential. Look around – at yourself and your team – and ask yourself a question. Can you honestly say you have unlocked their maximum potential? Have you tapped into even 50% of it? The fact is, untapped potential is costing you and your organization more than you can even imagine. Using decades of behavioral research and cutting-edge neuroscience, Flip helps you unpack the formula for truly accessing your team’s maximum potential. Talent development. It’s the hot buzzword you hear everywhere today. But what does it mean, and who is doing it successfully? The fact is, every single member of your organization has a hero inside them. From the time they were a child, they have dreamed of being that hero. If your organization is going to create sustainable success, you must unlock that hidden power. This inspiring and informative session combines Flip Flippen’s years of counseling gangs and homeless kids, with decades spent mentoring leaders around the world and conducting leadership development research. You’ll learn powerful strategies to unlock the power within the heroes around you. Talent is highly overrated as a factor in growing a successful person or organization. In fact, it is often one of the greatest impediments to true success and achieving anything significant. Flip outlines the counterintuitive lessons and strategies that can take even average teams and have them running circles around their most talented competitors. The Great Leader’s Mandate - I’ll Change Because You’re Worth It! Great companies, teams, cultures, marriages, and families could not exist without being populated by great people. None of us is an island, and what we do about personal growth simply isn’t personal. In this compelling and direct talk, Flip explores the impact of our leadership on the lives of those around us. No matter who you are, others are looking to you for leadership. Our personal leadership impacts more than we can even imagine, and breaking our individual constraints is the heart of the matter. Flip outlines steps to identify your top constraints and take action to break their impact on your performance, relationships, and results. It’s not enough to have a winning quarter or a winning year. Sustaining greatness is the holy grail of performance research. Flip Flippen has spent decades turning around struggling teams and leaders, helping them become long-term successes. By researching top performing individuals and organizations, Flip’s company has cracked the “Culture Code.” In this talk, he outlines what it takes to create a sustainable, high performing culture in your organization, as well. Flip Flippen celebrates you and your organization’s failures! In fact, he hopes you’ve had some powerful, heartbreaking failures. Cold-hearted? Hardly! In fact, after decades of researching top performing people and organizations, Flip knows a secret that most leaders never learn. Truly successful people and organizations have found their greatest victories on the backs of devastating loss and failure. There is power in being broken, and the result can yield a purpose-driven focus that fuels mind-blowing success. This heartfelt, intimate talk connects, motivates, and elevates leaders and teams with an authentic look at a subject most people don’t like to talk about – the power of being broken and embracing failure. Flip shares one of his most profound leadership lessons, learned while on safari in Africa. In a tiny, one-room, mud-brick school house, Flip met an amazing leader and gained profound wisdom about unlocking the answers inside you and your team. This heartwarming, inspirational talk is backed by hard data and practical strategies to access the greatness and answers just waiting to be unlocked. Richard Branson has it. Jerry Seinfeld has it. Elon Musk has it. Warren Buffett has it. Thomas Edison had it in spades. Walt Disney absolutely had it. If Bill Gates didn’t have it, he would probably still be holed-up in a computer lab somewhere hacking code. All successful people – from athletes to business executives – have it. The best part is, Flip Flippen has the data to show you exactly what “it” is and how you can get “it,” too. C.O.D.E.S. outlines the five key behavioral patterns present in every truly successful person and how you can develop them in your team – and in yourself. Whose Fault Is It When You Don’t Receive Critical Feedback? What’s More Important - Team or Mission? What Personal Constraints Are Critically Impacting Your Role? Founded Flippen Group in 1990. Along with wife Susan, named 2011 Ernst & Young Entrepreneur of the Year. Flippen Group was chosen by Texas Monthly magazine as #2 in the list of Best Companies to Work For in Texas. Master’s degree from Texas A&M University. Spent 16 years as a psychotherapist and built an outpatient clinic for at-risk youth and residential treatment facility for boys. Developed the theory of Overcoming Personal Constraints (OPC) to accelerate personal effectiveness. Recognized as a top leadership thought leader in America. Best-selling author of The Flip Side: Break Free of the Behaviors That Hold You Back. Presents keynotes and leadership development worldwide. "It's your heart and not your resume that makes the greatest difference."